New Directions will be performing "Summer Nights" from Grease in episode 10! More New Faces to the New Directions Family Tree: Following the news that Gloria Estefan has been cast to play Santana’s mom in an upcoming episode, comes the announcement that Fox is now in talks with rapper Pitbull to play Santana’s older brother! 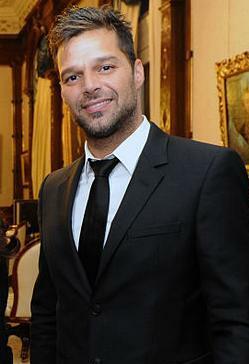 Entertainment Weekly also reports that Estefan’s episode will no longer be the same episode as Ricky Martin’s, likely to make room for a big family number featuring both Estefan and hopefully Pitbull. And in even more exciting family casting news, the same EW article claims that Fox is finally beginning to cast for Rachel’s gay dads! Finally! Get Ready for More MJ: It seems that New Directions’ Sectionals performance was just a taste of what the next half of this season has to offer! Glee‘s first tribute episode of season 3 will indeed honour the King of Pop himself, Mr. Michael Jackson. Airing on January 24 (the second episode back after the winter hiatus), TV Guide says that the episode will feature 10-12 songs from MJ’s extensive catalogue…the only question now is which ones? In addition to “Man in the Mirror” last week, Glee has also previously performed “Thriller” and “P.Y.T.” in season 2. Episode 10 is called “The Proposal”: And yes, there will indeed be a proposal! In this episode, the first one back after the winter break, TV Line reports that Will is going to propose to Emma…but what we don’t know is if she’ll say yes or not! I, for one, am a little weary of the fact that this will be Emma’s third engagement in the same number of seasons. Yikes. But fear not, non-Wemma fans, this episode will also feature “Summer Nights” from Grease, as part of the storyline that’s pushing Sam and Mercedes back together! Check out some more great photos from the “Summer Nights” filming, over at The Daily Mail. What do you think of all these developments, gleeks? Are you excited to meet more of Santana’s family, and finally meet Rachel’s dads? Who do you think should play Rachel’s dads? 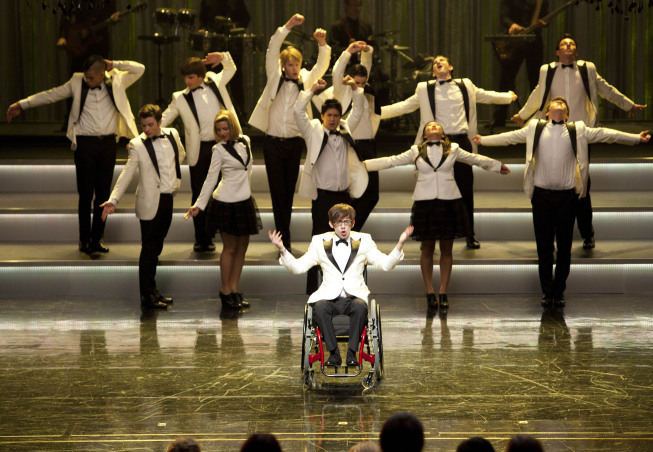 What Michael Jackson songs do you hope Glee will cover in its tribute episode? Do you think Emma will say “yes” to Will? And how excited are you about New Directions performing a Grease song? Share your thoughts in the comments! When New Directions is asked to perform at two different events on the same day at the same time, they have a tough decision to make. Will they choose correctly and spread Christmas cheer, or will their ambition get the best of them? Hey M'Tweets! Did anyone see Glee last night? Santana could really use a sympathetic mommy right about now, don't you think?? Lol! So gleeks, what do you think of these big guest star announcements? Glee has been shockingly devoid of guest stars so far this season, so these two will definitely shake things up. Are you excited to see celebrities back on Glee again, or do you prefer when they focus on the cast? How do you think Ricky and Gloria will fare? Let me know in the comments! Sometimes I really do think that Glee is best when it’s messy. “I Kissed a Girl” was all kinds of messy, from Santana’s storyline, to Puck/Shelby/Quinn’s storyline, to Beiste/Sue/Cooter’s storyline, to Rachel’s storyline…and while I’ve seen several reviews of this week’s episode that condemns it for its messiness, I thought it all worked surprisingly well. Sure, I’m getting a bit tired of the Puck/Shelby drama, too, but I thought that their complex drama was fantastic to watch, just like it was to see all of the emotions Santana went through this week. The main storylines that are currently on Glee aren’t ones that can or should be wrapped up in pretty, little bows, and I’m pleased to see that the show is properly acknowledging that. Quinn’s story, in particular, is an excellent example this – even two seasons later, Quinn still hasn’t fully recovered from the hell she went through in the first season. Even though this was frequently glossed over in season 2, I’m happy to see that the show is embracing its mess, and making much more well-developed characters in the process. But enough about the hot messes from this week, let’s break this episode down a bit more, shall we? Favourite Character: Santana just keeps consistently blowing me away, week after week. The range of emotions she showed this week were stunning, and her scene with her grandmother was flawless. That speech…that speech! Getting to see so much of Santana’s true feelings about life and love was tear-worthy in and of itself, but watching her break down after her grandmother’s rejection was truly heart-breaking. Props must also be given to Puck this week, who gave a killer performance, delivered hilarious dialogue, and had some incredibly lovely scenes, particularly the one in Quinn’s bedroom, and his speech about how they all abandoned her. 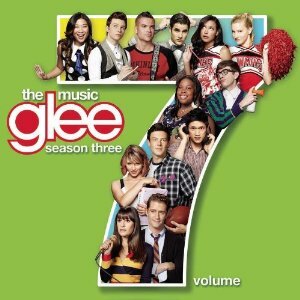 Glee: The Music, Volume 7 available December 6 – get an advance listen of Sectionals songs now! Get out your wallets, gleeks – it’s time for the first Glee soundtrack of the season! (Aside from the Christmas album, of course!) Glee: The Music, Volume 7 will be available for purchase on December 6 through all major retailers, and you can already pre-order it through Amazon and iTunes. 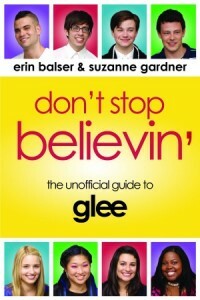 The album features 15 of the biggest songs from this season so far, including two songs from tonight’s episode, “I Kissed a Girl”, and three from next week’s Sectionals episode, “Hold on to Sixteen”. Check out the full tracklist below…and then get an advance listen of the entire album, which is currently streaming online courtesy of AOL! 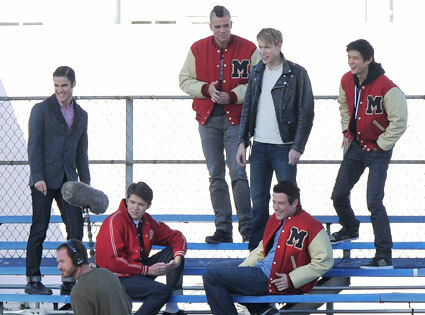 What do you think of the new Sectionals songs, gleeks? Do they live up to past years’ competition performances? And what do you think of New Directions performing all Jackson family songs? Share your thoughts in the comments!